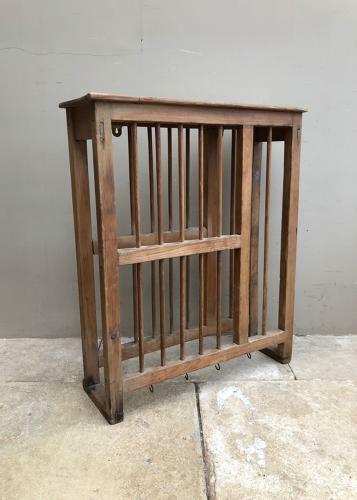 Victorian Pine Plate Rack in Good Original Condition. The two tiers will both hold modern size larger dinner plates, or smaller ones obviously if you prefer. A good solid top which makes an extra handy shelf. Someone has added hooks at the base to hang mugs off - would easily unscrew or keep as works well for mugs. This plate rack can be posted via Parcel Force 48 for £25.